Hey, sorry for the delay on this one. 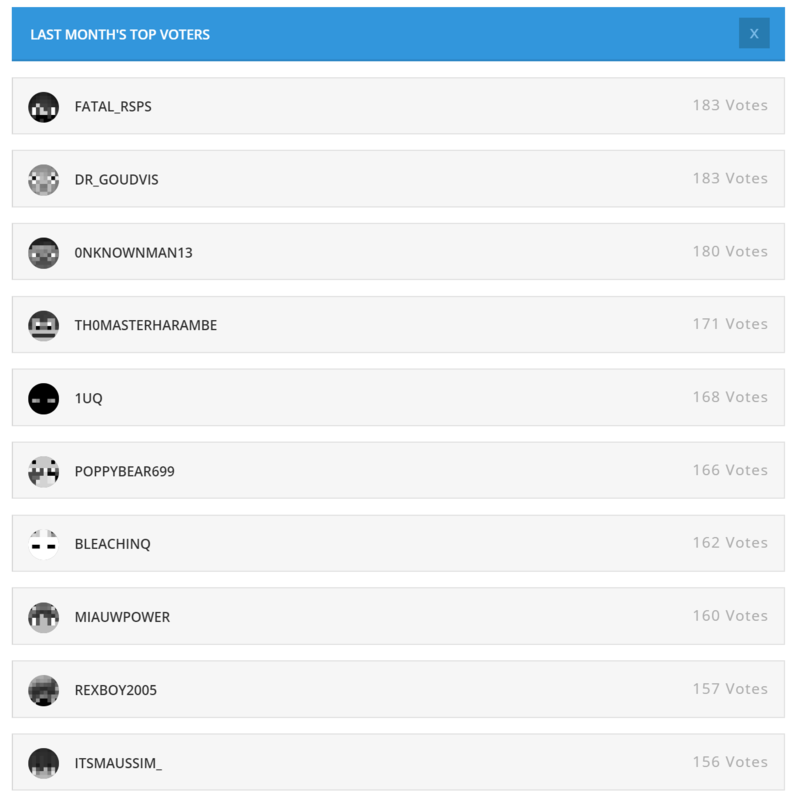 Here are last months top supporters and as always, the top voters and donor will get their giftcard via forum PM so if you do not get it within 24 hours of this post please PM me. Thanks and good luck to those competing in this months. Thanks for supporting and Congrats to all the winners! 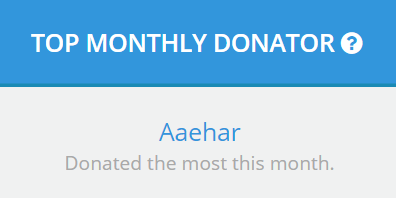 Ty danny for the giftcard and congrats for al the winners!